“The Cautioner’s Tale” by R.M. Wilburn is a futuristic dystopian piece that follows Mary Morgan, assistant to the brilliant Dr. Parsimonious Creed, head of the World Leadership Council. When Dr. Creed is murdered, important files are stolen from his office and his post is left vacant. Among the contenders for his powerful position is billionaire Herr Bigly Rump. Mary is suspicious of his motivations and enters the race to stop him. 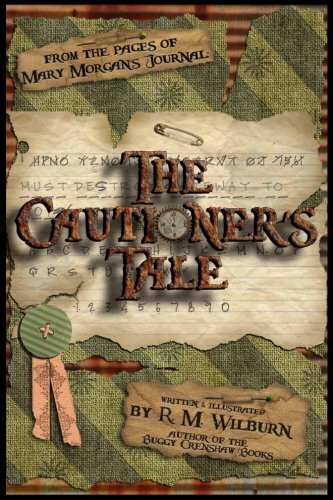 At just forty-eight pages, “The Cautioner’s Tale” is a quick but entertaining read for anyone bored of the traditional novel format. Told through a series of letters, journal entries, and other documents, the mixed-media style is a pleasure to look at and suits the piece well. It’s also a clever way of switching the point of view without pulling the reader out of the story. Anyone who follows American politics will be amused by the thinly veiled jabs at the President and his administration. These jokes make for quite an entertaining read even if you don’t find yourself invested in the overall story. The blunt way Wilburn hits on current issues like federal investigations, intolerance, and ‘fake news’ paints an accurate picture of today’s United States. Adding a slight fantastical element adds to the plot makes a great piece of short fiction. Anyone in need of a light, humorous read should definitely pick this book up. Its unique format is engaging and lets the reader fly through the story in little to no time. The concepts are simple enough that it would also be an interesting way to educate young readers about the dangers of a domineering and selfish world leader. “The Cautioner’s Tale” by R.M. Wilburn is a book people of all ages will enjoy, whether it be for the story itself, the artwork, or the political commentary buried throughout.